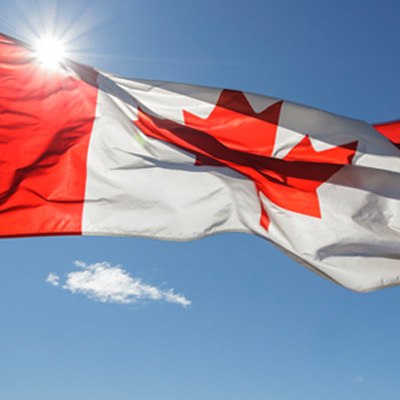 Immigration, Refugees, and Citizenship Canada (IRCC) has provided new information on the possible future direction of the Express Entry program. After the recent improvements made to the Express Entry system, the IRCC has referred to its past experiences with the system to make future predictions. Introduced in January 2015, the Express Entry system has been in operation for more than a year, and in this period it has been revealed that 16 percent of invited candidates have been either cooks or food service supervisors. This has been the case because previously a job offer carried a significant amount of points in the Comprehensive Ranking System (CRS). However, the recent changes to the CRS job offers have been designed with the aim of providing a variety of opportunities to a diverse range of occupations among candidates that have been invited to apply for permanent residence. The other good news for candidates already in the Express Entry pool or for those individuals planning on creating a profile, the IRCC has confirmed that it intends to issue more ITAs than ever before in 2017. And thus the reason for putting more weight and emphasis on human capital, skills, and experience. It is important to note that, a job offer was not, and is still not, a requirement in order for a candidate to enter the Express Entry pool or receive an ITA. Before the November 19 changes, candidates with a qualifying job offer supported by a Labour Market Impact Assessment (LMIA) were awarded 600 CRS points. However, after the improvements to the system, a number of changes have been implemented to the qualifying job offer such as; a qualifying job offer is now worth 200 points if it is in an occupation found in the Major Group of the National Occupational Classification. Whereas, a regular job offer in any other skilled position is now worth 50 points. Further to that, other non-LMIA-job offers can now also be awarded points for the first time, such as workers in Canada on a NAFTA work permit or as an Intra-company transferee. For these non-LMIA cases, the workers must have been working in Canada for at least one year and the job offer should be made by the same employer named on the work permit. In addition to that, the job offer duration requirement has changed from ‘indeterminate’ (undetermined) to at least one year in duration. A large share of invitations will go to candidates with a higher level of human capital, which will improve immigrant economic outcomes and better enable employers to fill high-skilled job positions. While a job offer will no longer guarantee an ITA, it still increases the chances of being invited to apply. Even though the number of CRS points awarded for a job offer have significantly decreased (600 to 50 points) it has been noted that the number of candidates who may have an opportunity to claim these points has increased. This is the case because requirements for a job offer have been reduced to accommodate who hold an employer-specific work permit in Canada. As a result, it is expected that the CRS points limit for the first draw or first few draws after the changes have been implemented, may temporarily go up to give an opportunity to the likely high number of candidates who may claim additional points. From January to September 2016, over 35 percent of ITAs were issued to candidates without a job offer or provincial nomination, and the IRCC expects this number to increase, emphasizing its desire that candidates without a job offer have a better chance of receiving an ITA. Recently the IRCC released its Express Entry yearly report for 2015, where it has been revealed that almost 13 percent of candidates issued with an ITA last year had obtained a provincial nomination certificate through one of the many Provincial Nominee Programs (PNP) that had a category aligned with the Express Entry system. In the first six months of 2016, the PNPs showed their importance as the number of candidates invited to apply after obtaining a provincial nomination certificate rose to 23 percent. It is important to understand that the candidates who have obtained a provincial nomination certificate through a PNP category will continue to be awarded 600 points, despite the recent changes to CRS this makes the Provincial Nominee Program one of the most significant factors under the system. The most significant and clear change to the CRS is in regards to International students and graduates in Canada. One of the IRCC’s main goal is to see the number of former international students and graduates receive an ITA and provide additional incentive for foreign nationals to study in Canada. 15 points, to candidates who have an eligible credential from a one-year or two-year post-secondary program. A university-level program at a doctoral level.